Meet Poh Ling Yeow, artist ingénue and now TV personality chef with a passion for unique, experimental flavours that taste great! 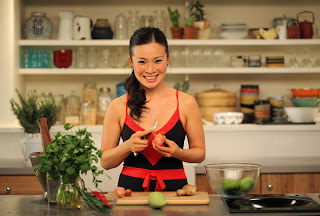 Join Poh and her chef friends on TLC’s brand new series POH’S KITCHEN as she whips up original recipes, and explores the culture and tradition behind some of the world's favourite dishes. Poh also embarks on a journey to discover her Malaysian roots, tracing her family ties and sharing time-honoured family cooking secrets. POH’S KITCHEN premieres every Monday at 1900 hrs (7:00 pm SIN/HK). Encores the following Mondays at 1300 hrs (1:00 pm SIN/HK). Poh Ling Yeow was born in Malaysia and she spent much of her childhood in Kuala Lumpur. Her family then migrated to South Australia, where she now lives and works. For Poh, cooking is all about nurturing and sharing, and she loves inviting friends into her kitchen to play, experiment, and help her refine her unique cooking style. Catch the enigmatic Poh as she injects a personal twist into some of the world’s most popular dishes, and exchanges recipes and tips with famous chefs such as Neil Perry, David Thompson, and Emmanuel Mollois. Poh has always sought to explore notions of belonging and origin, and her interest in cooking sparked her desire to reconcile her heritage with her Western identity. 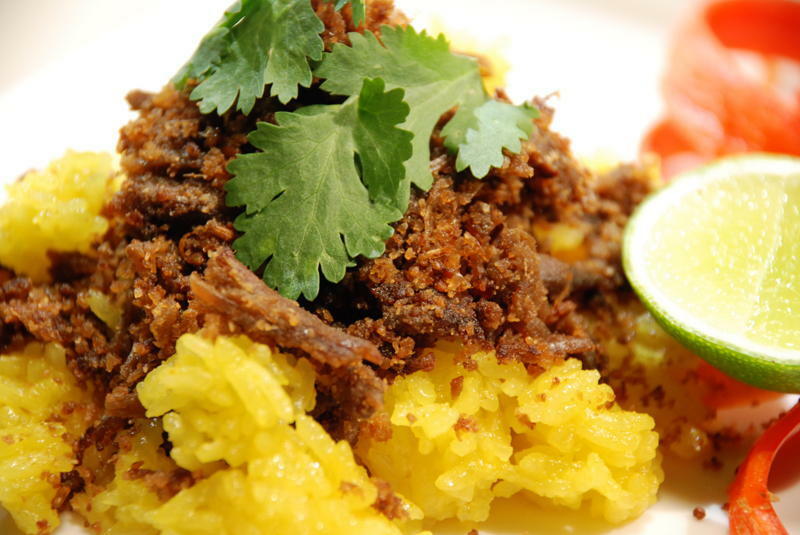 Later in the series, Poh heads off overseas - to Malaysia on a three week trip to find out more about her lineage and the traditional dishes that come from Malaysia. With a pinch of curiosity, a splash of audacity, and a whole lot of laughter on the side, step into POH’S KITCHEN and awaken your tastebuds to a plethora of flavours and ideas. TLC, one of the fastest-growing lifestyle channels in the United States, is a new global lifestyle channel featuring inspiring lifestyle and factual entertainment focused on travel, food, the environment, home improvement and gripping human interest stories. By first quarter of 2011, the international TLC offering will be available in more than 75 markets, reaching more than 100 million households outside the United States, making it the most widely distributed lifestyle channel brand in pay-TV. Launched in Asia Pacific on September 1, 2010, TLC is currently distributed to more than 133 million subscribers in the region. Discovery Communications (NASDAQ: DISCA, DISCB, DISCK) is the world’s number one nonfiction media company reaching more than 1.5 billion cumulative subscribers in over 180 countries. Discovery empowers people to explore their world and satisfy their curiosity through 100-plus worldwide networks, led by Discovery Channel, Animal Planet, Discovery Science and Discovery HD, as well as leading consumer and educational products and services, and a diversified portfolio of digital media services including HowStuffWorks.com. In Asia Pacific, seven Discovery brands reach 508 million cumulative subscribers in 32 countries with programming customized in 13 languages. Can you feel the heat? It is definitely summer with temperatures rising and reaching 40 degrees in no time, perfect time to hit the beach and have some fun in the water. But for those of us who are stuck in our day jobs and drying up in the heat of summer, (even the air-conditioning is giving up with the weather), there is always a way to cool down. And this summer Magnolia showcases their line up of frozen delights, to keep our heads cool and to have a fun time this summer as well. Think of it this way, summer is not about hot weather, it's just our excuse to dig in to Magnolia's frozen delights, would you agree? 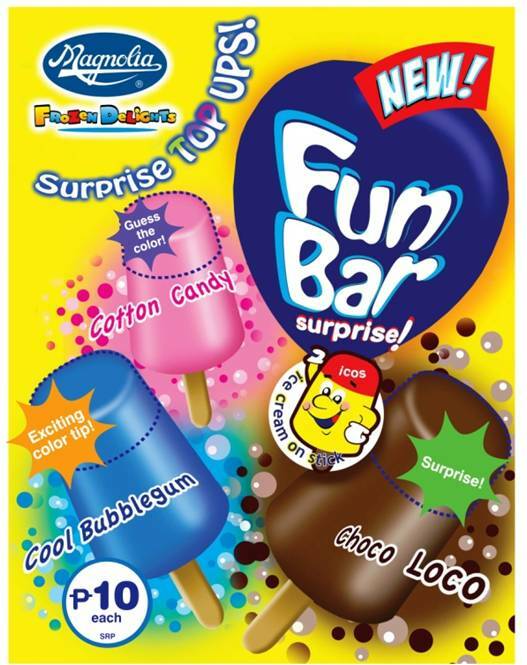 Ice Cream on Stick (ICOS) dipped in chocolate dip that comes in different colors that will excite and surprise the consumer. •Chocolate flavored ice lolly… so cool so chocolatey! 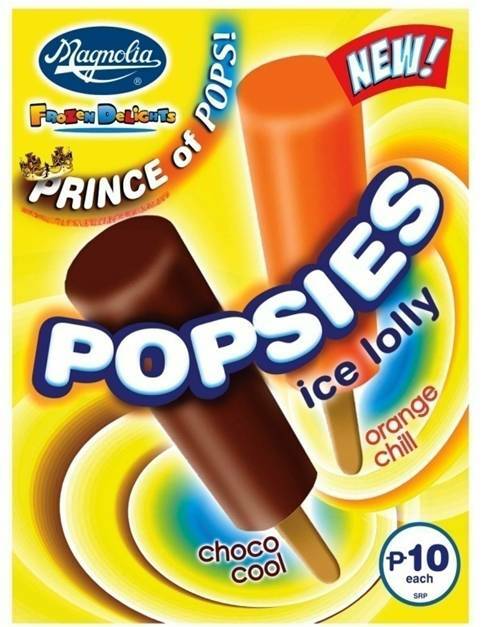 •Orange flavored ice lolly, so refreshingly cool and tangy! Love the orange bite! The Spinner - spinning through our hearts and soul, definitely something wonderful! 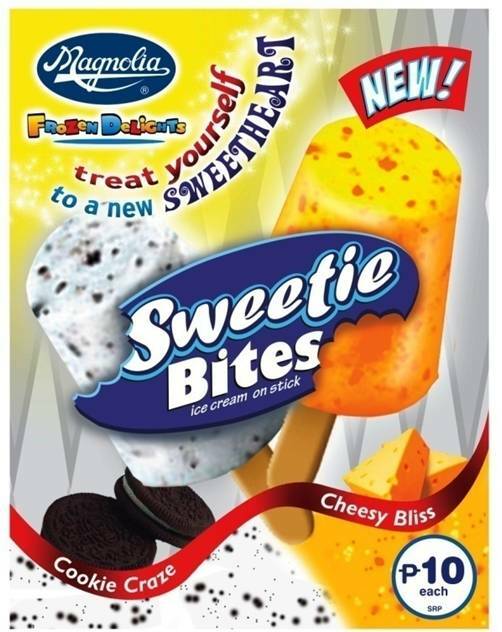 •For chocolate lovers, Cookie Craze is cookies ‘n cream at its best! •Cheese to the max, blissfully satisfying one’s cravings for a cheesy fulfillment. Go on, give in and be cool this summer with Magnolia Frozen Delights, available at all major supermarkets and convenience stores nationwide. 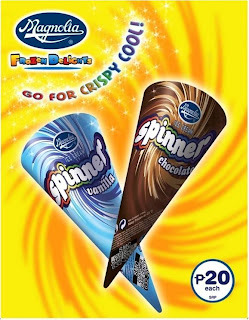 Visit them online at www.magnoliaicecream.com.ph. 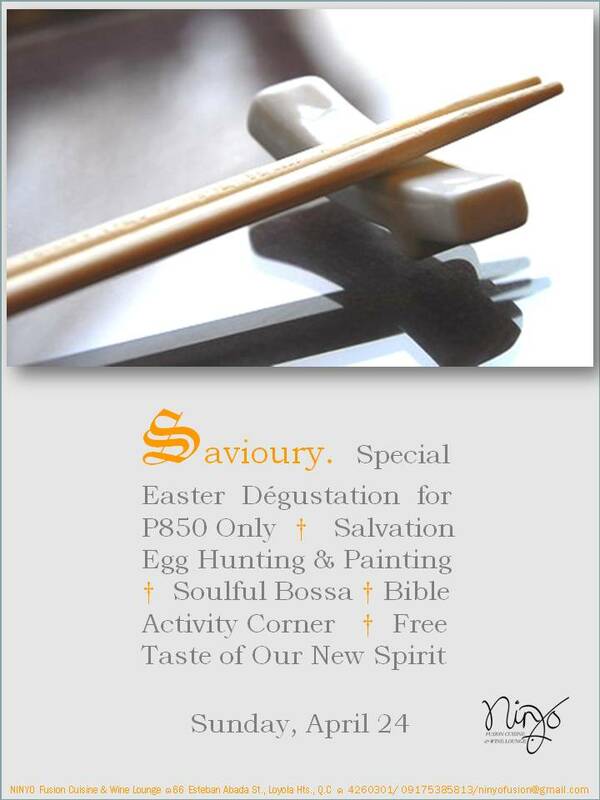 We can’t save your soul like the Lord did, but inspired by His Scriptures, we’ll let you save a few bucks this Easter with Chef Niño's all-time lowest priced Special Easter Dégustation. 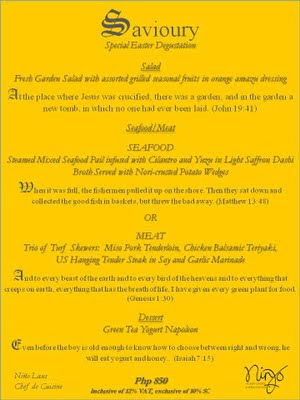 -- "Chocolate To Die For"
> SALVATION EGG-HUNT OR PAINT. 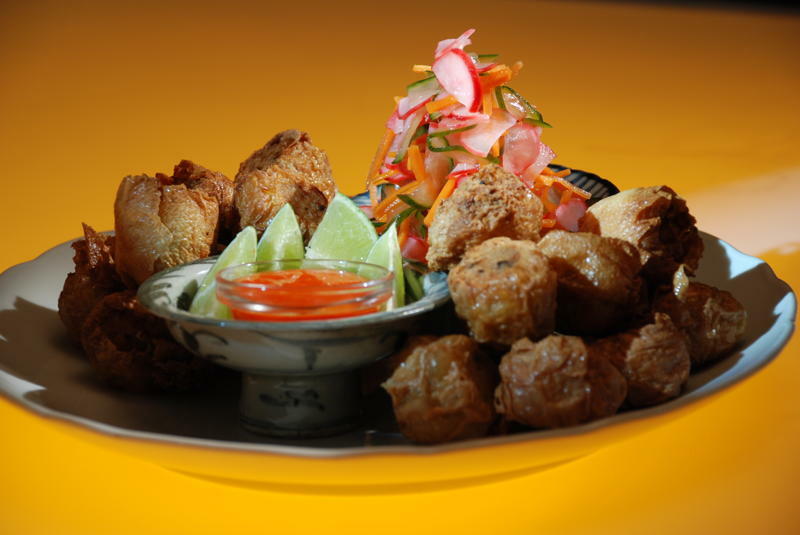 Hunt or paint eggs to save on appetizers, desserts and drinks on your next visit. > SPIRITUAL ACTIVITY CORNER. Kids may read, paint and draw bible stories and characters. 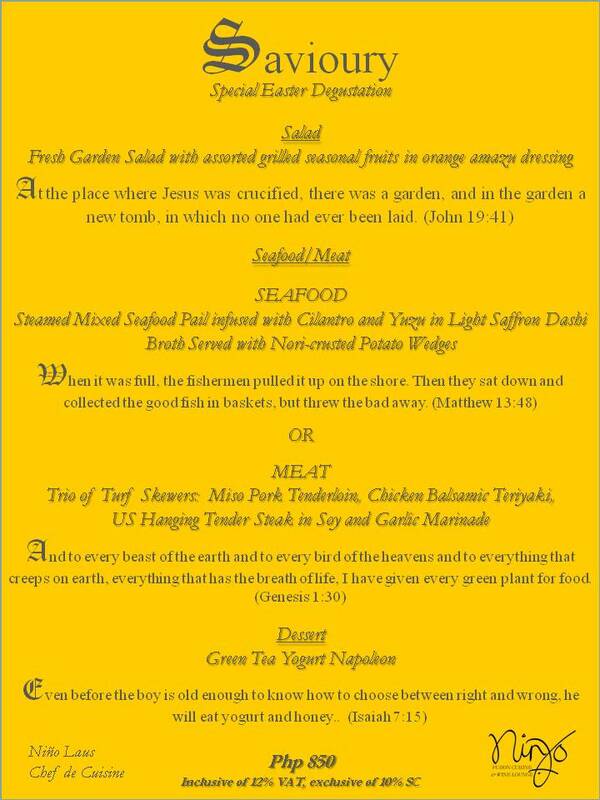 So don't miss this once-in-a-year meaningfully "Savioury" Easter Experience! 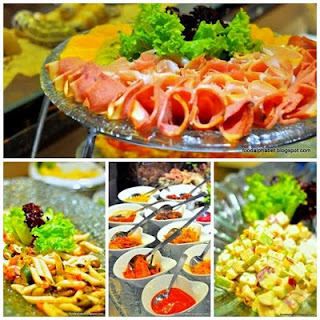 NINYO Fusion Cuisine & Wine Lounge is located at 66 Esteban Abada St., Loyola Heights, Quezon City. 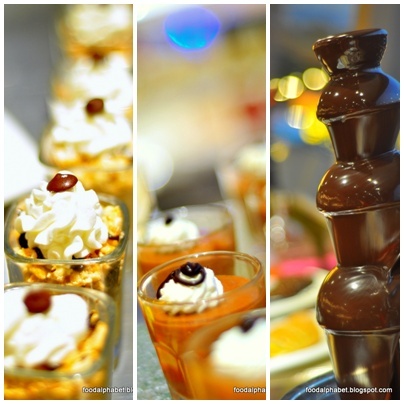 For reservations, please call 4260301/ 09175385813. See you this Easter Sunday! 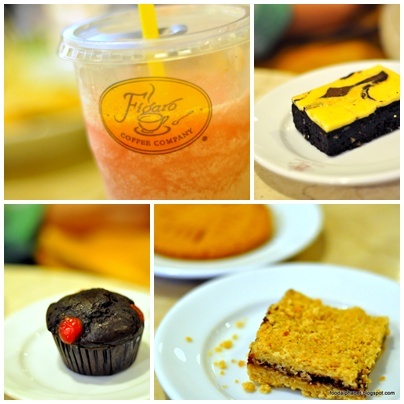 Just in time for the hot summer season and Lenten season, Figaro gives us more reason to spend an afternoon of relaxation while savouring their delicious lenten offerings and hot summer treats. 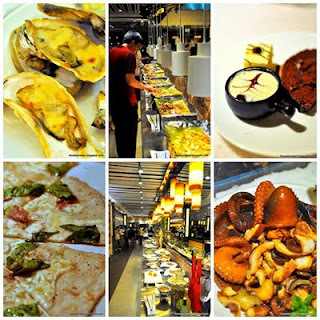 The Philippines being a Catholic nation observes Lent quite religiously from no meat Fridays to fasting, But quite a few establishments offer choices of food that will fill you and keep you satisfied without the guilt. Figaro Coffee Company's Kani Sandwich (P179), crabstick filling garnished with lettuce and tomato in potato bread, served with side salad, the crunchy lettuce and fresh ripe tomatoes compliments the tasty crabsticks filling perfect with light mayo dressing. Perfect with coffee or your favorite flavor of Figaro Frost. The Kani Sandwich was easy on the mouth, the mayo filled Kani sandwich tasted not too sweet which was just perfect for me, biting into fresh slices of tomatoes and crunchy lettuce, I felt so revitalized, knowing I get only the freshest of ingredients in my sandwich. 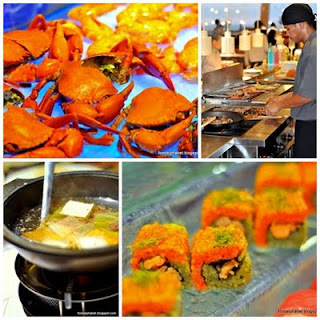 Kani Sandwich is not just made for the Lenten Season because you crave for Crabs (Kani) all year round. Figaro just made it easy on your diet with their Kani Sandwich, truly filling without the guilt. 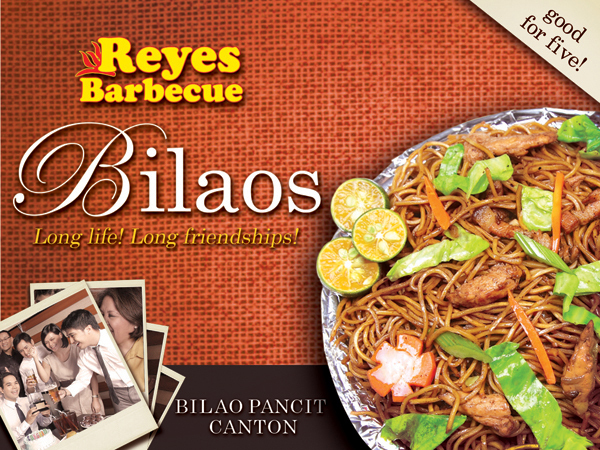 Chili Sardine Angel Hair Pasta (P180), is Spanish sardines sauteed in garlic, olive oil, dried chili flakes, onions and black olives tossed in angel hair pasta. Garnished with finely-chopped parsely and parmesan cheese, the love for spanish sardines with garlic, olive oil,onions, dried chili flakes and black olives complete the angel hair pasta experience. The saltiness of the fish melts with the sour and salty taste of the black olives exploding in flavors of the spices, onions, garlic and chili flakes. This pasta meal is quite heavy in the sense you get full quite easily, the flavors collide and you can savor all the sweetness, a tad of saltiness and a pinch of spiciness. 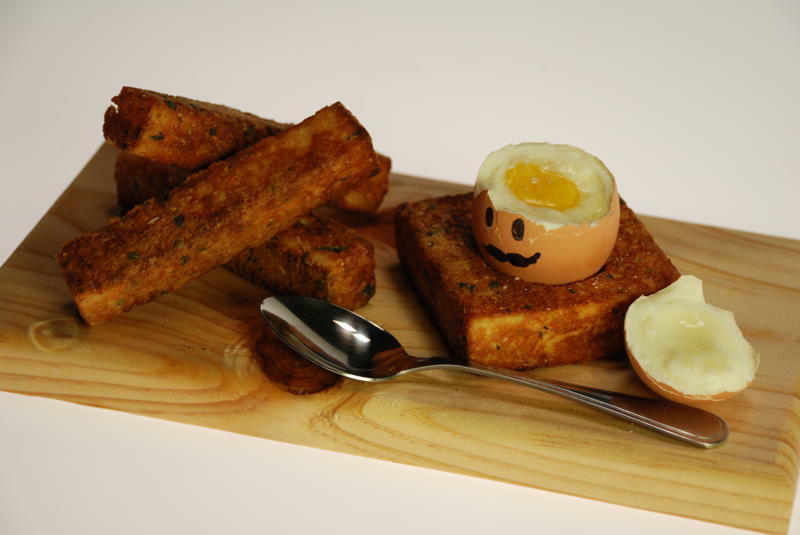 You'd be happy you ordered this. Light yet filling snacks of Kani Sandwich and Chili Sardine Angel Hair Pasta at Figaro may just be the Life you need to make your day right this Lent! Summer is here and you can feel the heat! A refreshing drink is what you’ve always wanted on a hot summer day waiting for a ride or beach-combing at your favorite destination. The body really needs that re-hydration and you don’t want to gain more weight to fit in those two-piece outfits this summer. Figaro brings you Summer Frosts with new flavors, Tropical Sorbet and Berried Watermelon! Sip and enjoy the sweet and sunny goodness of this season's most refreshing drinks for only P125! Tropical Sorbet is a refreshing summer drink that bursts with sweetened passion fruit and a splash of peach flavors combined. Figaro’s Tropical Sorbet allows you to savor the sweetness and the full rich flavors of peach and passion fruit without having to worry about those seeds. Deliciously refreshing and nourishing. Flavored by Monin, the world's most famous manufacturer of flavored syrups gives our Summer Frosts that rich flavor enough to melt anyone's heart. Berried Watermelon is a summer slush drink played with red berries and punch of watermelon flavors. Watermelon is the favorite summer fruit this season. It actually does not just rehydrate with its special cooling effect, it is also fat-free and helps in energy production – just enough to make you sweep the whole shoreline and enjoy frolicking in the sun this season. This drink is perfect when all the sweetness in the watermelon you've been craving needs a summer kick. Red berries will surely provide that slush sunny sweetness to complete that refreshing drink. I love them both. Also try out their other treats, their Marble Cream Cheese Brownie, made with dark cocoa powder, Raisin Short Bread Cookies, Peanut Butter Cookie, and their low sugar Cherry Choco Muffin. No cream and no fat to help you lose those pounds and gain more confidence this summer! 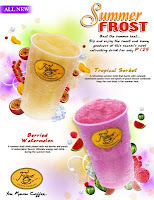 Find some relief from the heat with Figaro’s Summer Frosts and get light and easy with Figaro's Lenten offerings. This is definitely hard to resist!! Summer is definitely here and what better way to cool off than to have Halo-Halo. 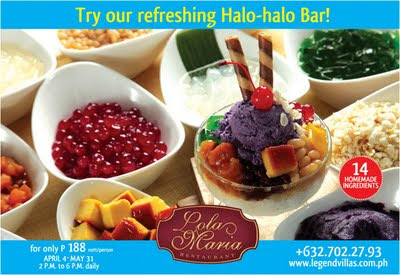 Unlimited Halo-Halo that is!! Available from 2 PM to 6PM daily from April 4 - May 31, 2011. I just love summer! Especially with a Halo-Halo in my hand. We were recently invited to a summer gathering with bloggers and friends, on a lazy hot Sunday afternoon. But I'm happy why? because I'm going to cool off at California Berry!! They have recently opened a new branch in SM Mezza in Sta. Mesa, just opposite SM City Sta. Mesa. And it definitely is a treat! All of their pasta selections were quite a treat, and yes pasta is heavy to the stomach, but my fellow bloggers daughter ate it all by herself, it shows how yummy it definitely is, but I was not able to taste their Pasta Carbonara, but it looked good, I will be back for that. I got to taste Mango Tango and Double Berry, both were very fruity indeed. This is the healthy choice, fresh fruits with yogurt, you just cant go wrong with this. Another treat California Berry is giving us this summer is and will definitely be a hit for all ages. Presenting Ice Ice Baby P65.00 only! 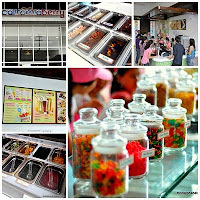 Finely shaved ice with your choice of flavor, toppings and everything else you would like to have on it!! It tickles your taste buds and gives that delicious sensation, yes it is definitely summer!! Even though it is summer time, it does not mean hot coffee is out. Also featured in California Berry is not just any other coffee, but Organic Coffee. Made with the finest grown organic coffee beans, you can be sure you're getting only nature's finest to your everyday coffee. 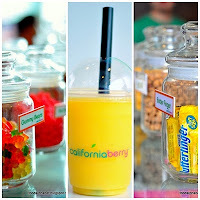 To know more of California Berry's new offerings, promos and branches, please visit HERE. 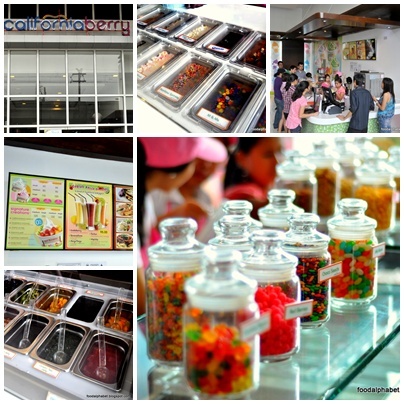 Don't forget to have a serving of their yummy and healthy frozen yogurt treat as well. See you in California Berry soon!